Edge Sense has always been a gimmick — but who can blame HTC for embracing a gimmick. The company’s mobile division has been struggling in recent years, so why not embrace the novelty of a squeezable side input? The tech got a bit more support when Google embraced it for the Pixel 2, renaming it Active Edge in the process. With today’s announcement of the U12+, HTC is introducing Edge Sense 2. The company promised it would keep updating the feature, and this new flagship is starting to making it that much more compelling. The second generation doesn’t make it an essential feature, but some key additions point to how more sensors on the sides of the handset could turn it into more than just a glorified additional button for the phone. Some of the coolest additions here are the ability for the phone to recognize which hand is holding it and adapt the interface accordingly. 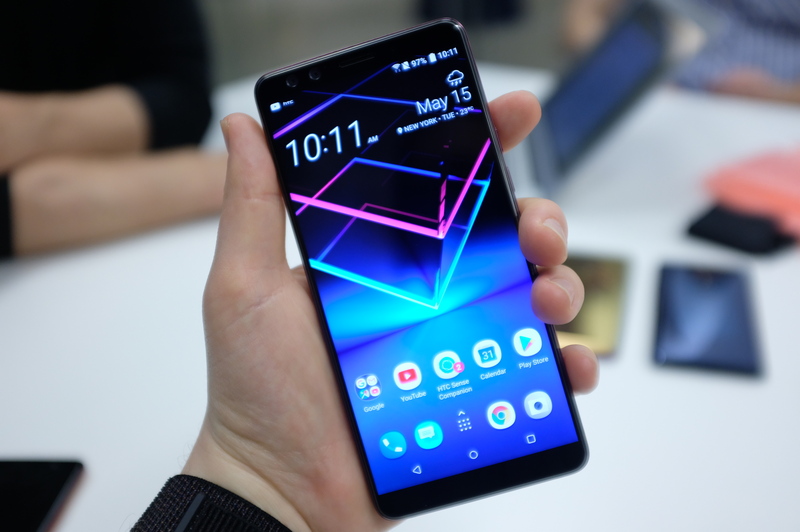 When held in a single hand, the feature offers up multiple options, including the ability to lock screen orientation for video viewing and squeezing to take photos or shoot video. And, that functionality is customizable, meaning users won’t get locked into a devoted Bixby button-style situation here.